I made banana bread this weekend. Making banana bread was not originally on my to-do list for the weekend. In fact, the whole ordeal is something I can blame on my husband. You see, our family went to a convention this past week and he was in charge of buying our snacks for the hotel. I told him to get fruit. I should have been more specific because he came back with bananas. Lots and lots of bananas. The only problem is, my husband is the only one in our family who really likes bananas. That is how I found myself stuck with a bunch of bruised, over ripe bananas on a Saturday morning, not good for much except to be thrown out in the trash. Perhaps you feel like one of those bruised, over ripe bananas. Perhaps you have been going through life, seemingly ignored by all of those around you. Everything seemed great at first – you had a fantastic plan for your life, you were the best looking one of the bunch. But then life happened. Time went by and you were hurt. You were bruised. You made mistakes that made your life feel rotten and you now feel that you are not good for much except to be thrown out in the trash. If that is the case, I have good news for you! The best thing to do with bruised, over ripe bananas is to make banana bread . . . and that is just what I set out to do. Excited with the prospect of having fresh banana bread, I downloaded a recipe and got to work. Only there was one problem – the third ingredient on my list was butter, and we were all out of butter. Frustrated, I called my husband and asked him to pick up some butter from the store on his way home. Then I waited. Perhaps you are trying to turn your life around. You are tired of being bruised and broken. You know that there is more to life . . . that even ugly, bruised and broken bananas can be turned into banana bread. Yet, you can’t quite get it right. No matter what you do, you can’t seem to make banana bread. Perhaps you are missing an ingredient. Two hours later, my husband arrived home with the much needed butter. Determined, I was super excited about making the bread, and I again began to gather the ingredients. That’s when I noticed the final ingredient. Eggs. WE WERE OUT OF EGGS!!! By this time I felt like giving up, but I knew I had to continue. Nothing was going to stop me from making my bread! I sent my son and his friend to the store for eggs and, a little over ten minutes later, I finally had all the ingredients and the bread was baking. Success! Just like I needed butter and eggs to transform my old, bruised and broken bananas into banana bread, you also need the right ingredients to transform your life. It is only through the healing power of Jesus Christ that you can be made whole again. Jesus can give anyone – even the most damaged among us – a fresh start. He can make something beautiful out of something ugly . . . He can make you beautiful again! Making banana bread is a messy task. The bruises need to be cut off, the bananas need to be mashed up with the other ingredients – it is nearly impossible to make banana bread without getting messy. In the end, if you aren’t willing to step in and get your hands dirty, you will not be able to make the bread. Perhaps you are like me in this story. 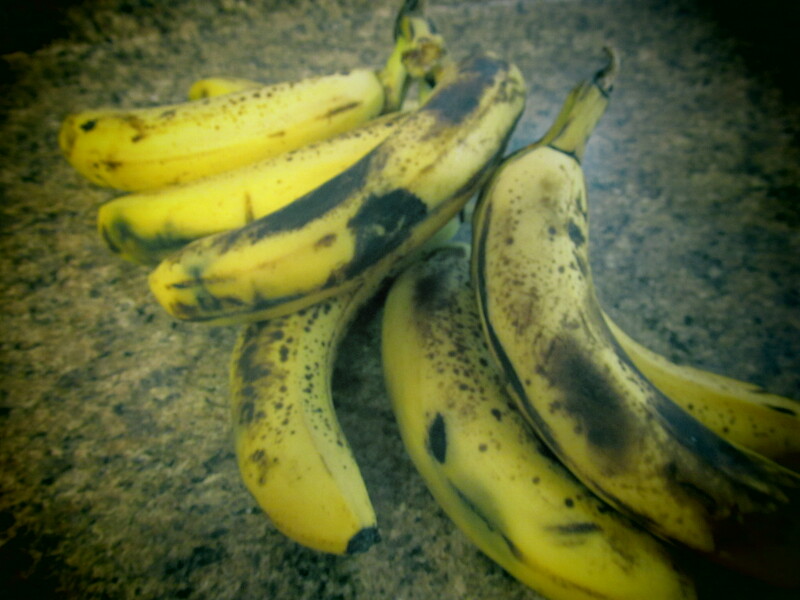 Perhaps you see bruised, over ripe bananas all around you. You know they are there, but you ignore them as long as you possibly can. When you can no longer ignore them, your first inclination is to throw them out – you aren’t sure that you want to make banana bread because you really don’t want to deal with the mess. Then, when you start to make the bread, it ends up being a harder task than you thought it would be and you want to give up. Are there people around you that are hurting? Are there people who feel bruised and broken, who have given up on life? 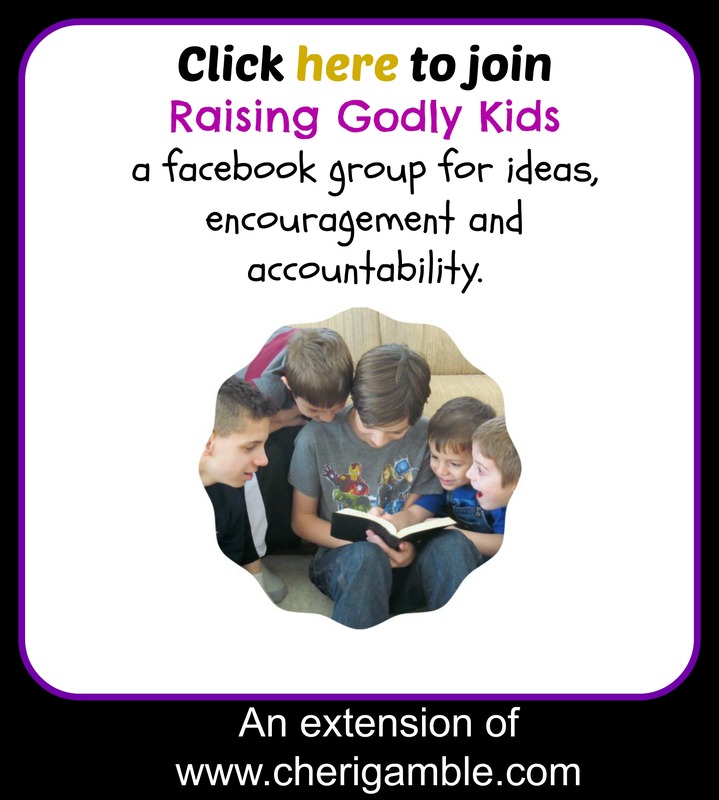 Are they looking for YOU to show them how to make something better out of their lives? Don’t give up on them . . . gather the ingredients together and help them find healing in Jesus Christ. Yes, it is messy! Yes, you will get your hands dirty! Yes, it might not turn out how you were hoping . . . but don’t ever, EVER give up! A little over an hour later, we were enjoying a fabulous bedtime snack. There was a delicious smell throughout the entire house and we were all glad that we hadn’t thrown out the old, bruised and broken bananas. Why don’t you make some banana bread today? This post is similar to one found in my book Banana Bread & Mismatched Socks: 100 Devotional Thoughts From My Every Day Life. Buy your copy today! Thank you so much for this! As I was reading, I felt like you were literally talking about me. Certain life circumstances have caused me to feel like a rotten banana throughout my life, but this has been so eye-opening for me! Again, thank you, you have no idea how much this post means to me!